April 22, 2019 | You've probably heard the term "digital weddings" used in the industry, but do you know what it actually entails? Here we share some ideas that were explored in Zankyou's digital-themed wedding breakfast club, recently hosted in the Parador Cuenca, Spain. Professionals travelled from Madrid, Valencia, Toledo and Albacete for the exclusive event. Expert opinion: how many musicians for your destination wedding? In films and in real life, musicians are fundamental - of course - to music. But how many should you have for your momentous day? Read on to find out. If you're going through a dry spell in your love life, then panic not. Sexologist Lara Rosingana gives us some expert tips on how to escape a sexual rut. To narrow down your venue search, let us take you to Cali, and more specifically, Hacienda del Bosque, where you'll find the atmosphere, details and all the extra special touches you need to make your wedding an unforgettable one. The leading cash wedding registry in the US. Find out more! With Zankyou you receive all guests' contributions in cash, and you can then transfer the money directly to your PayPal account to spend it on whatever you want. You can send thank-yous directly from your mobile, and also download a breakdown of the payments received. Discover the easiest, most elegant way of receiving gifts from your guests! Zankyou guarantees total security with payments. Your money is always held in your name, and complies all European safety standards. Our payment portal is international, and supports revenue from all areas of the world, in the currency of your country. 100% cash: Each gift has a service cost of 2.8% + 30¢ per gift paid. You choose who pays the fees: you or your guests. 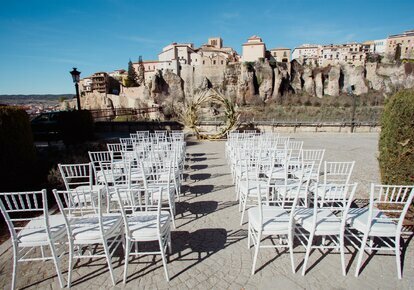 We guarantee 10 years of experience, with the best personalised service for you and your guests. 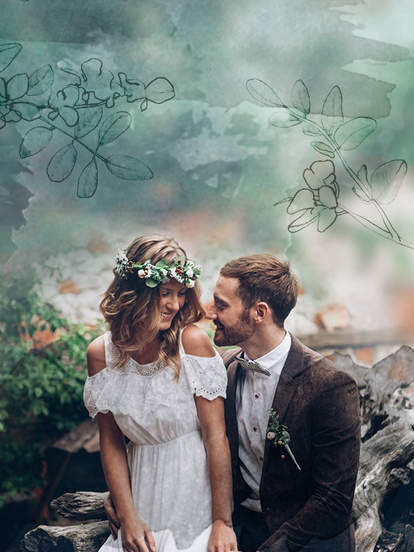 We are the only wedding portal recommended by couples from around the world at Trustpilot, where 9 out of 10 couples who have used our services recommend us. You'll fall in love with every single dress of the Jenny Packham 2019 collection, brimming with sophistication and elegance. Discover in this gallery the best selection of trends in wedding dresses 2019. Designs of all kinds, among which we are sure you'll find yours! A collection designed for the modern woman, because the wedding dresses Monique Lhuillier 2019 will not leave you indifferent. Mythology as an inspiration and the mixture of fabrics make up the Inmaculada Garcia 2019 unique bridal gowns, see the here!